The GST website for filing indirect tax returns was hit by technical issues on Saturday and went down for a few hours before services were restored by evening. The shutdown for repairs threw into disarray the return filing processes for some businesses, according to a report in financial daily Economic Times. Subsequently, the site was taken down at 2 pm to “enhance services on the site”, and the scheduled downtime was to be until 2.30 pm, though that was delayed. However, at the time of this report going to press, the website was back on the line.For a section of business, the last date to file returns remains August 20. The last date for filing the GSTR-3B form for July is 20 August, which is a summary return of details of outward supplies, inward supplies, credit and payment of GST. 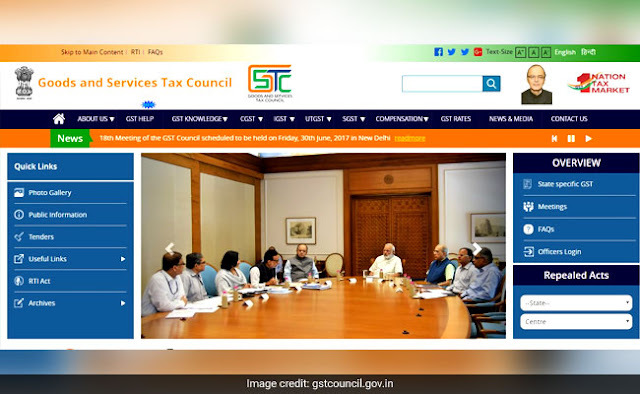 Earlier, the government had fixed August 20 as the last date for filing GSTR-3B forms for the month of July. “GSTR-3B is a summary return of details of outward supplies, inward supplies, credit and payment of GST,” the report added. The new indirect tax regime requires traders to file three returns every month that adds up to 36 GST returns every year. Besides, the traders also need to file an annual return at the end of a financial year. This means under the GST regime, traders are required to file a total of 37 tax returns.